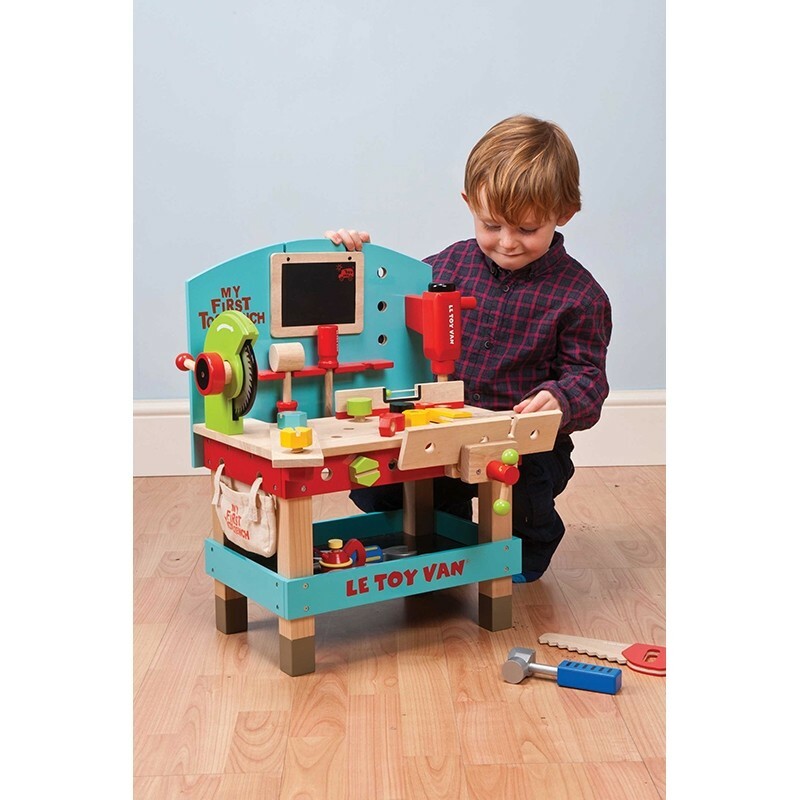 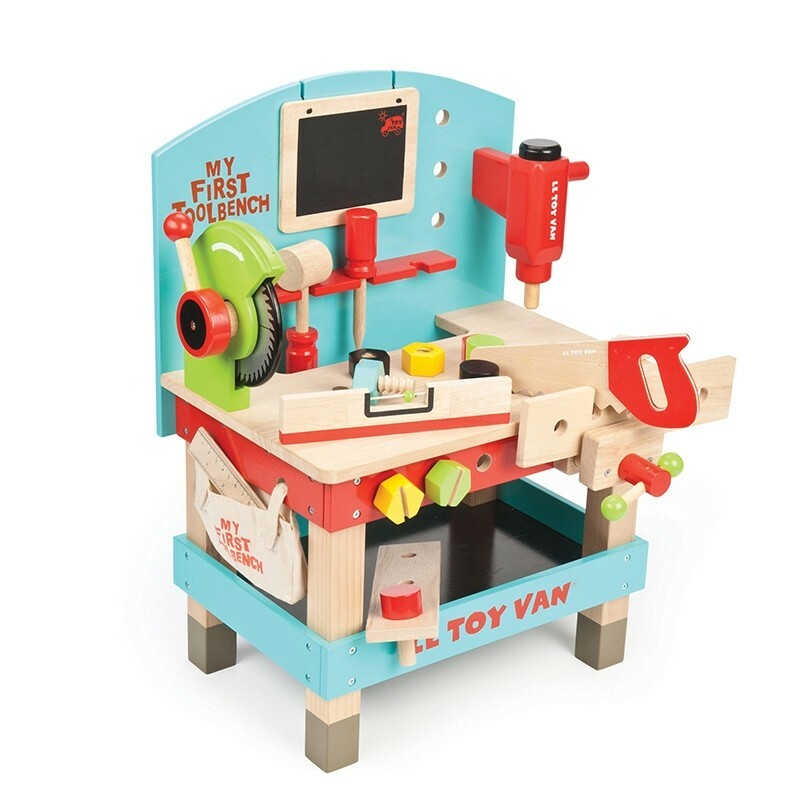 A fun first wooden tool bench with toy power tools, featuring a drill and turning saw. 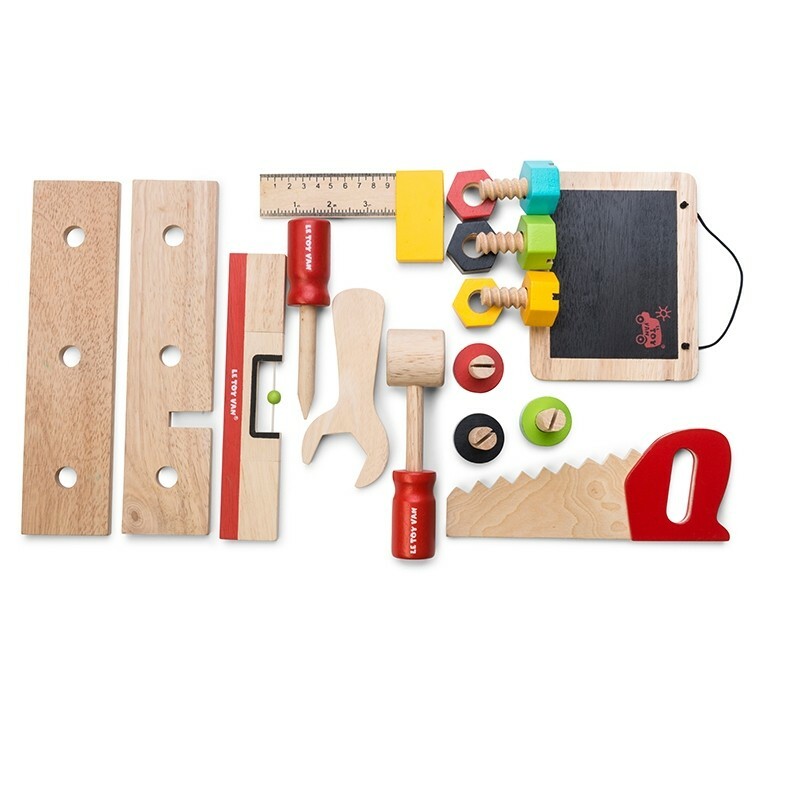 Plus a handy storage shelf and two planks with nuts and bolts. 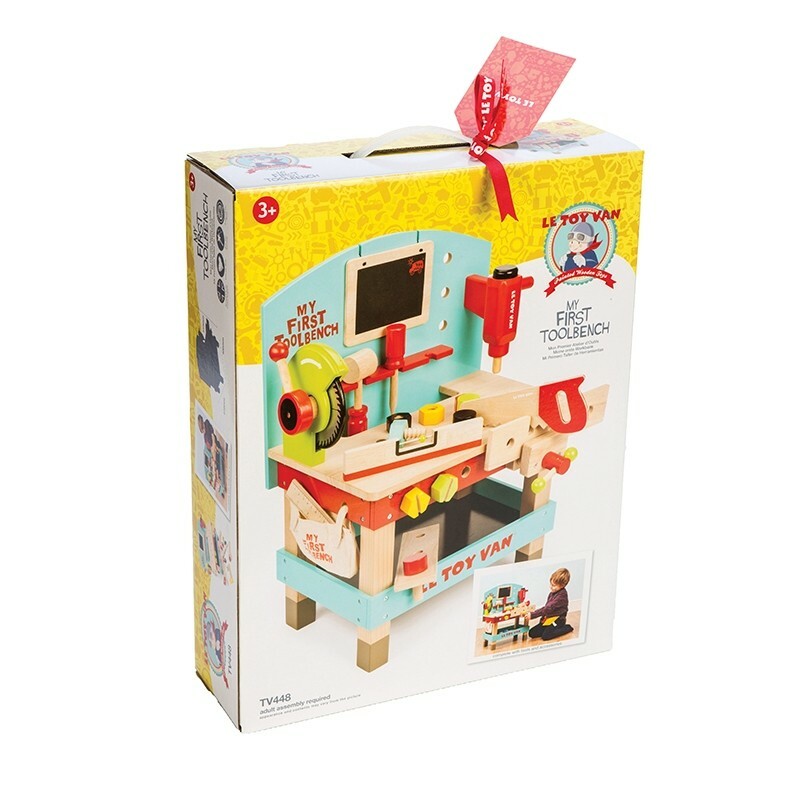 Approved by the Good Toy Guide.